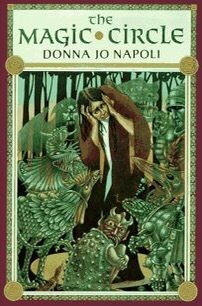 Webs of Entrapment A review of Donna Jo Napoli’s The Magic Circle (Puffin Books, 1993). The witch from Hansel and Gretel is generally portrayed as wholly irredeemable. She is a cannibal who preys on children, using candy as a lure to draw them into her web. Donna Jo Napoli’s “The Magic Circle” doesn’t redeem the witch either, but it does pose some questions of morality and culpability for one’s actions. “The Magic Circle” is told from the perspective of the witch, who is portrayed as ugly and generally referred to as The Ugly One and then later as The Ugly Sorceress. Fantasy tales can tend to portray beauty as a characteristic of heroic characters and ugliness as a characteristic of villainous ones, but Napoli invites questions about this distinction. She sets her story in a highly Christian medieval society where the religious system tends to portray vanity as a threat to morality. Yet, the village that the witch lives in early in the narrative still tends to isolate and reject her for her appearance. The Ugly One sees herself as blessed because of her disfigurement, believing it to be another task that God has set before her to challenge her to rise above it. She sees herself as God’s agent in the world as she carried out first her roles as a midwife and later her roles as a healer. Yet, her belief that God is always helping her opens her up to the notion of pride and this is what finally achieves her transformation into the witch. 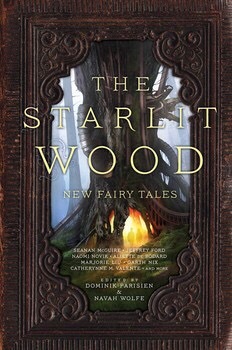 Napoli embeds her story in Medieval Christian beliefs, creating a witch who is at odds with a system that is shifting from midwifery to medical control by priests. She experiences discrimination first for her appearance, but later this is coupled with her ability to heal and she is considered a threat to be burned. Napoli demonstrates her interest in fairy tale texts by exploring the influence these texts can have on people and the witch, after hearing a boy tell tales of a fairy tale landscape views this landscape as an escape. Whereas others see this fairy tale landscape as a threat, far removed from civilization, The Ugly One sees this landscape as a refuge, a place to escape from threats to her and the threats she poses to others. Although The Ugly One begins her story with firm boundaries between ideas of Good and Evil, she eventually opens up these binarisms and explores the idea that circumstances shape people’s actions and that morality shifts and changes as people are pushed into actions that they would otherwise resist. Napoli imagines a witch who is shaped by texts – by religious texts, by fairy tales, by grimoires, and even by the texts that society projects onto her – the text of disfigurement, the text of femininity, and the outsider narrative. Words have power in this tale, and the words that are spoken about The Ugly One shape her, change her, and entrap her as she is portrayed as entrapping children in her cottage made of candy.